Looking for a delicious way to detox, cleanse, nourish and feed your body? Sip a freshly made green smoothie or juice and you’ll be on the fast track to a healthier and more energetic you. 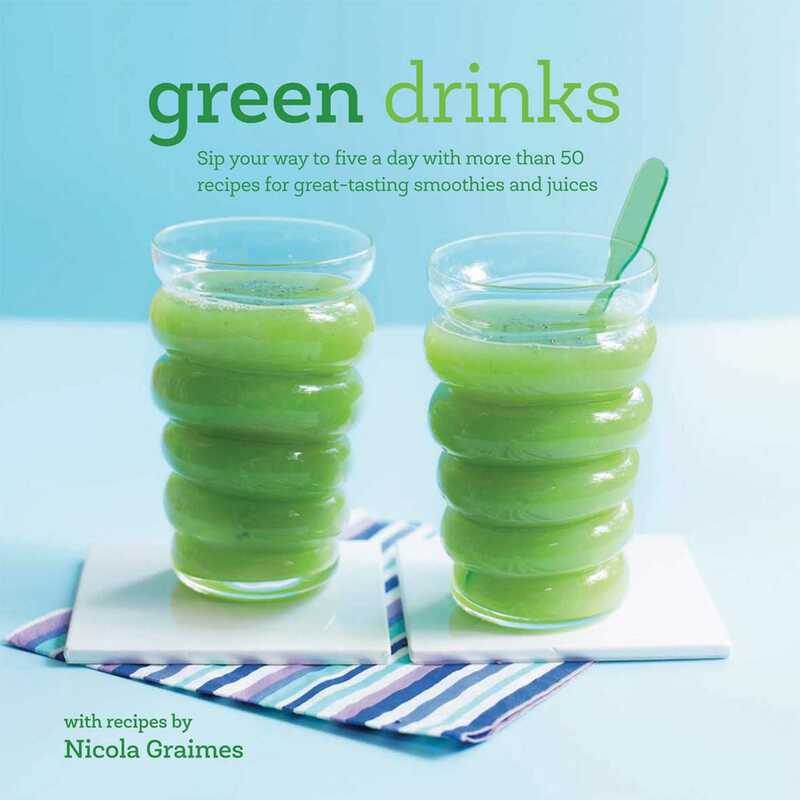 Homemade green drinks win health points over packaged fruit juice and smoothies on several counts. They are unpasteurized and contain much less sugar than their fruity counterparts and there is a range of nutrients present in those dark green vegetables, the ones we know we should eat more of—kale is packed with beta-carotene, calcium, vitamin C and vitamin K. The delicious fruit and vegetable recipes here are not only good for you but delicious too and surprisingly filling, helping you maintain a healthy weight. Ingredients such as spinach, broccoli, fennel, cucumber, celery, parsley and kale are all featured and combined with other fruits and vegetables to create balanced and tasty drinks to enjoy at any time of the day. Along with the nutrients gleaned from the fresh produce, green super-nutrients such as spirulina, wheatgrass, hemp, chorella, aloe vera, barleygrass and powdered greens add a further nutritional boost. Try a Virgin Apple Mojito, Super Detox, Apple Zinger, Green Giant, Green Shot, Spring Clean, Green Day, Popeye Special, Avocado Smoopie, Green for Go, Cucumber Cooler, Cabbage Love and Green Goddess. Get ready to go green!